Semi custom walk-out basement home offers downstairs entertaining for all ages with 3 spacious split bedrooms, Massive game room w/ pool table set up & kitchenette/bar & French doors leading to heated salt water pool/spa overlooking stunning views of AZ sunsets & The Legends Arrowhead Lakes Golf Course. On the main level large windows steal the show leading your eye directly out onto the golf view. 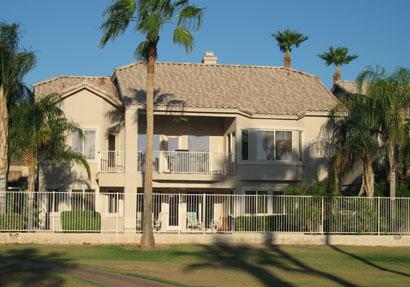 Spacious living spaces, large master w/ private exit onto balcony and attached master retreat.